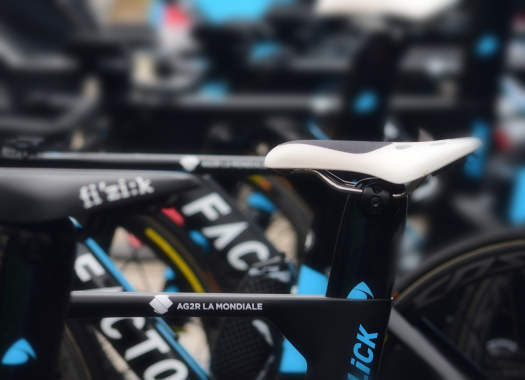 AG2R La Mondiale's Axel Domont has been forced to abandon the Tour de France by the injuries he suffered after crashing at the fourth stage of the race. The Frenchman was the biggest victim of the mass crash that happened at five kilometres from the finish line and of which Tiesj Benoot (Lotto Soudal) and Rigoberto Uran (EF Education First) were also victims. Even though Domont could finish the stage, later examinations have revealed that he suffered injuries that won't allow him to go back to the race the next day. The rider was first examined by the medical staff of the Tour de France and then transferred to the hospital of Vannes, where he underwent further tests. "He is suffering from a fracture of the right collarbone. The X-Ray did not, however, detect a fracture of the skull nor the ribs," explained Dr Eric Bouvat, medical officer of the team. This abandon leaves Romain Bardet with one less rider on his team to fight for the General Classification. "This is a hard blow," commented general manager of AG2R La Mondiale Vincent Lavenu. "Axel is a valuable teammate and a very effective worker out of the limelight." Domont will spend the night in the hospital for observation.